Jaguar remains synonymous with luxury, and Classic Jaguar autos are some of the most coveted vintage automobiles. In 1935 the early Jaguar models were born, including the iconic SS Jaguar, and the The C-type, D-Type and E-Type models paved the way for the current models such as the F-Type and F-Pace. 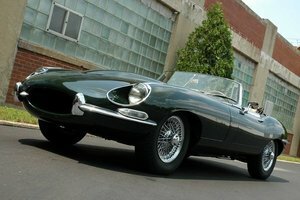 Find your classic Jaguar car for sale here at OldCarOnline.com.